Great Grandparent Gift! 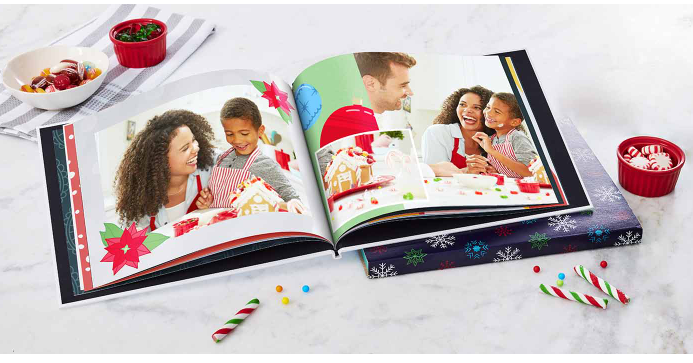 4×6 Photo Books Only $3.49! Walgreens has some amazing photo deals running right now! Just enter coupon code THANKFUL2018 at checkout to save 50% off everything photo! Shannan found these 4×6 photo books for only $3.49 with the coupon code! These would make great grandparent gifts, or even gifts for the kids to give them a reminder of all the fun things they did this year like Shannan is doing for her kids. These are even available for same-day pickup at over 6500 locations so you don’t have to pay any shipping costs on them! Thanks for sharing this with us Shannan! Previous article: 2018 Family Dollar Black Friday Ad Scan! Next article: Macy’s Black Friday Ad Scan & Deals LIVE NOW + 20% off Coupon Code!